The Ca' d'Oro style is one of the most classic designs, with its cracked gold foil under a layer of clear glass, is reminiscent of gold leaf mosaics seen all over Venice. 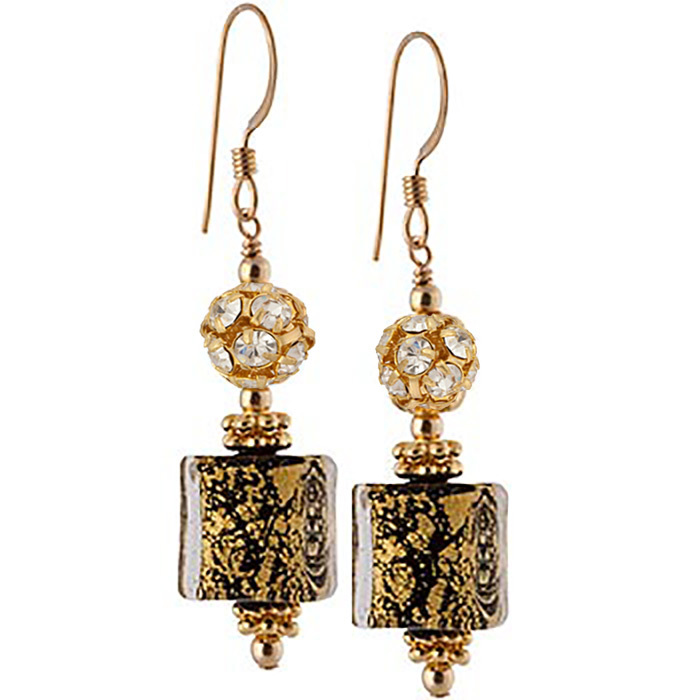 Under the gold foil is an opqaque black glass which draws out the vibrance of the gold, making an rich looking pair of earrings. 14/20 gold-filled earwires and a mix of gold-plate and gold-filled components compliment the beads. Approximately 1 3/4" in length.